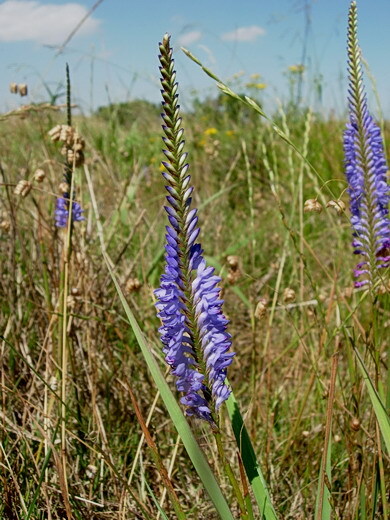 Micranthus is a cormous genus in the Iridaceae family originating in the Cape Province of South Africa. 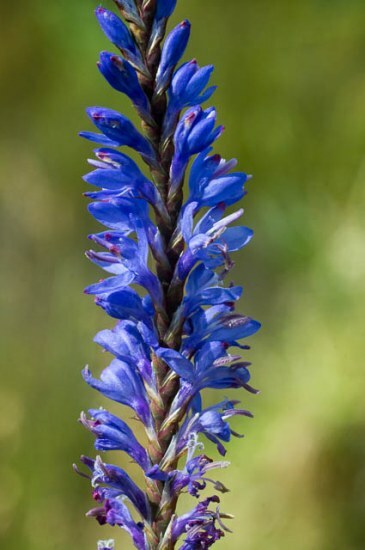 This genus has small flowers in a spike that are blue, white, or purple. Commonly known as comb flowers for the regular arrangement of the flowers. 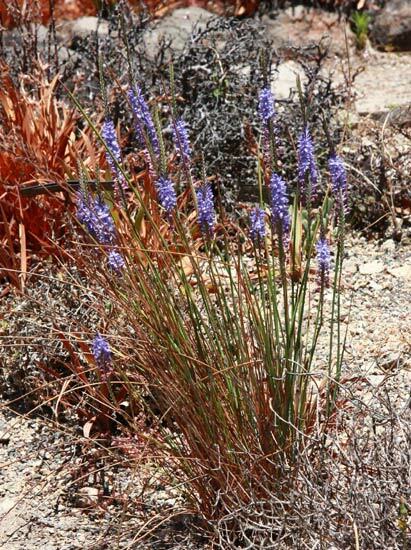 Growing mainly on sandstone soils, often in damp places, they mostly flower in early summer. This genus is visited by a variety of insects and is attractive to butterflies. In 2013 P. Goldblatt, J.C. Manning, and R.E. 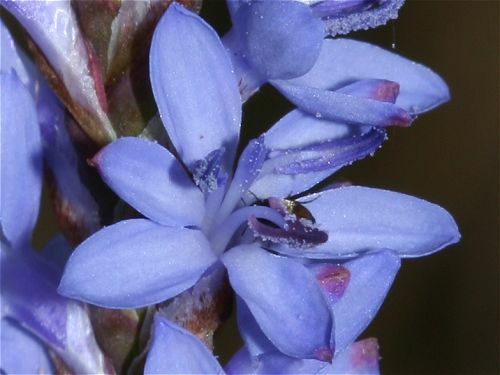 Gereau in an article entitled The Cape genus Micranthus (Iridaceae: Crocoideae), nomenclature and taxonomy revised this genus, adding four new species and changing the name of one of the original three. In addition to these species, natural hybrids are known to occur in the wild where the species grow close together. Micranthus alopecuroides (L.) Eckl. 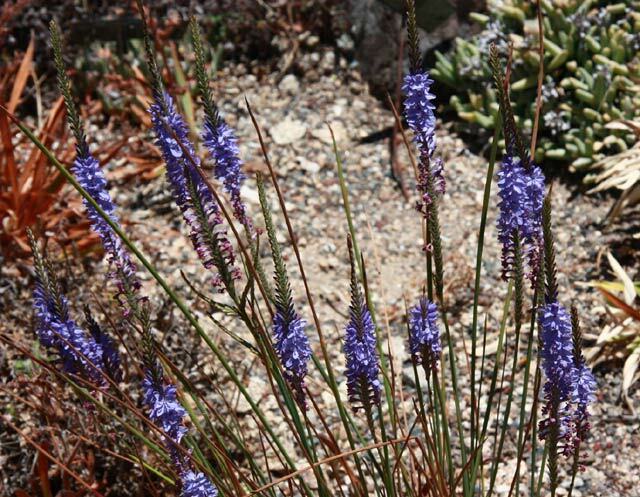 grows from 25 to 40 cm high and has sword-shaped leaves and pale to deep blue flowers in two-ranked spikes. 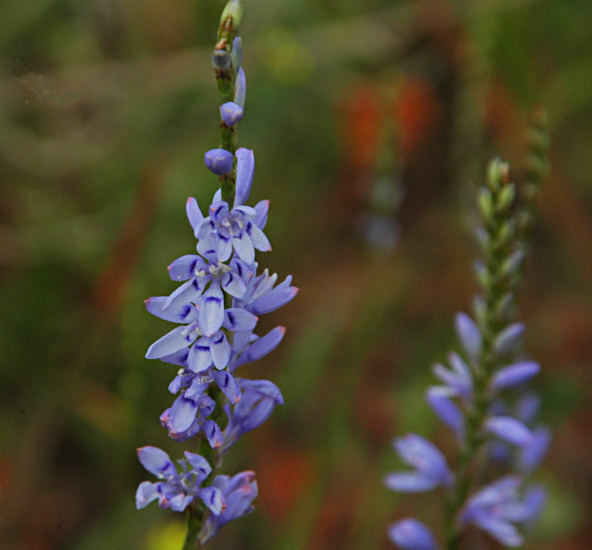 It is found on sandstone soils in the southwestern Cape. The first four photos were taken in habitat in the western Cape September 2006. The last photo is of corms on a 1 cm grid of plants yet to flower. Photos by Mary Sue Ittner and Bob Rutemoeller. 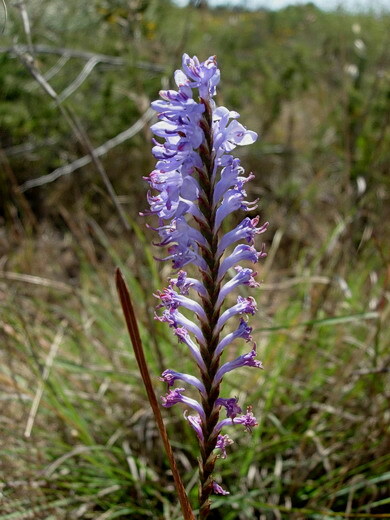 Micranthus cruciatus Goldblatt & J.C.Manning grows in the northern Cedarberg and Bokkeveld mountains. It's similar to M. plantagineus but has solid leaves and produces fewer cormlets. It grows in rocky seeps and blooms as they go dry in December. Micranthus filifolius Goldblatt & J.C.Manning is in many ways similar to M. plantagineus but is different in leaf details, corm tunic, and in the absence of leaf axil cormlets. Flowers range from pale mauve to dark blue. Micranthus plantagineus Eckl. (formerly Micranthus junceus (Baker) N.E.Br. 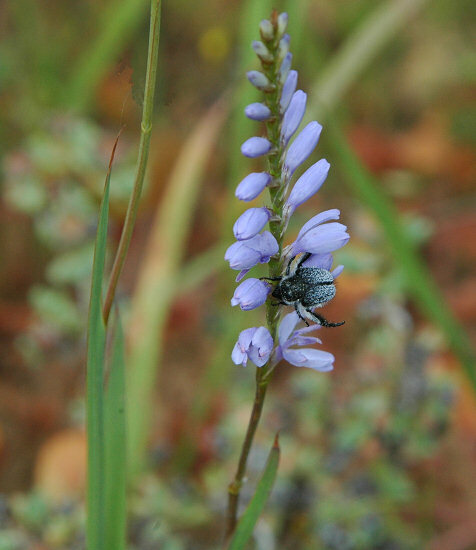 has slender hollow and terete leaves and usually dark blue flowers. It grows on wet, seasonally marshy sites on granite or sandstone soils in a broader range (Bokkeveld Mountains to Riversdale.) Blooming time is late spring to early summer. 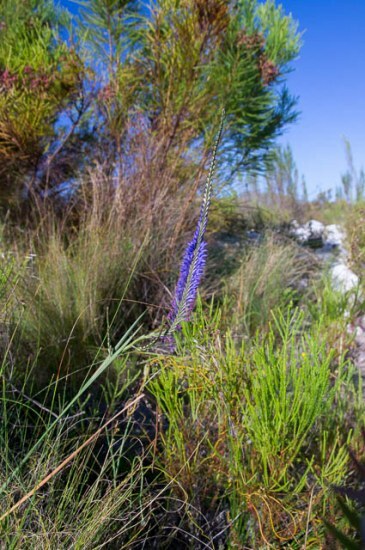 The first two photos by Cameron McMaster were taken in the Overberg. The next three photos were taken by Andrew Harvie near Tulbagh. Last two photos by Christopher Whitehouse in the Phillipskop Nature Reserve near Stanford. 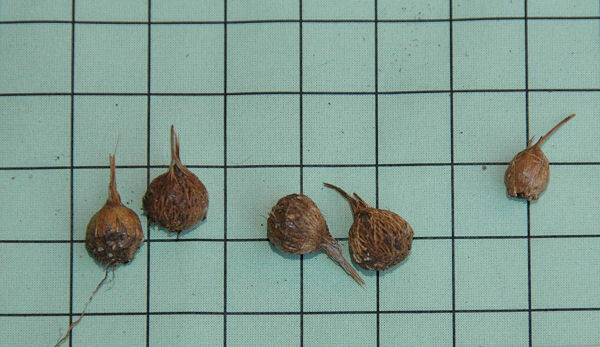 Photographs by M.Gastil-Buhl show seed acquired from Silverhill Seeds before and after germination. 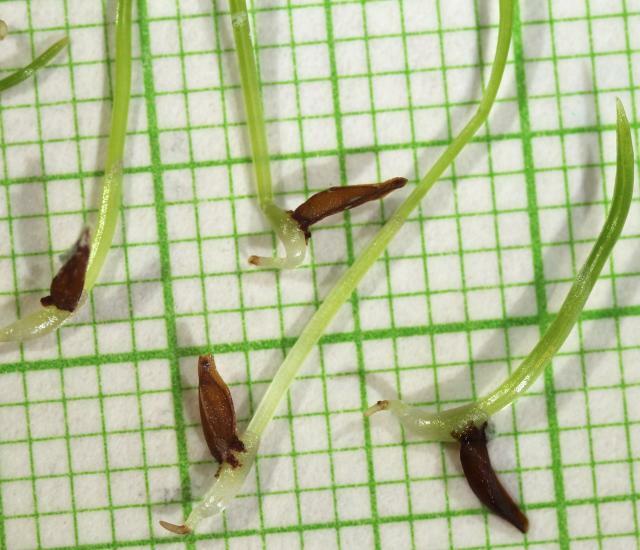 Seed germinated in 8 days (photo 2) to over a month (photo 3) on damp filter papers in a closed dish at warm day and cold night temperatures (approximately 60-75 °F day and 35-45 °F night). 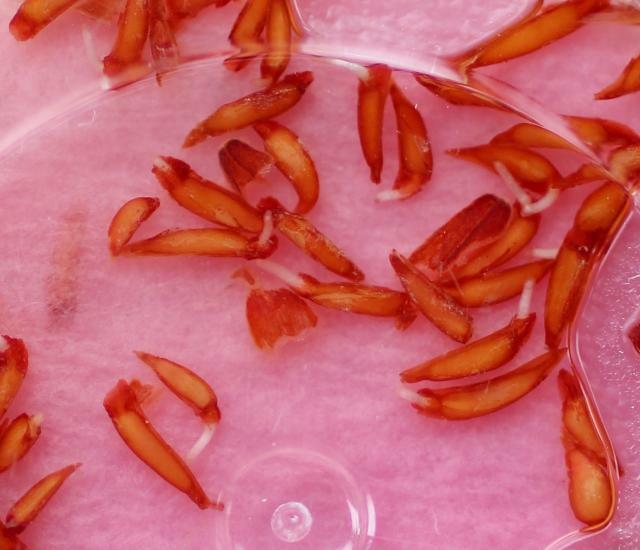 I soaked the seeds in smoke water, which stained the filter paper pink. Photo 3 on a 1 mm grid shows sprouts ready to plant. 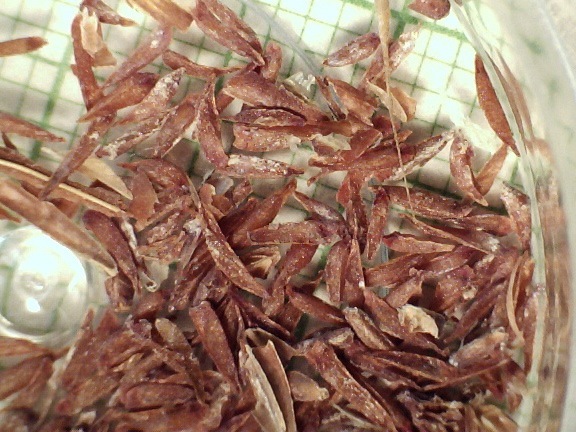 These seeds are thin and difficult to handle. I would recommend direct sowing, not filter papers. 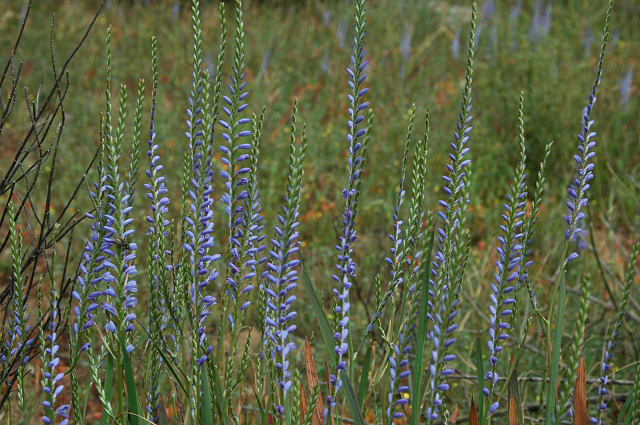 Micranthus simplex Goldblatt & J.C.Manning grows on Zebrakop, the highest mountain in the Piketberg range. It grows in wet sandstone and blooms in summer. White flowers with lilac tips on the outer tepals. 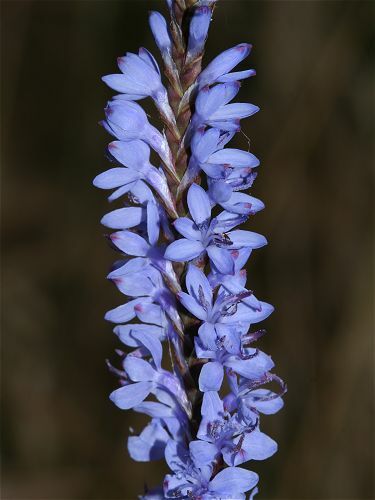 Micranthus thereianthoides Goldblatt & J.C.Manning has long dark violet flowers and grows in the Paardeberg Nature Reserve. 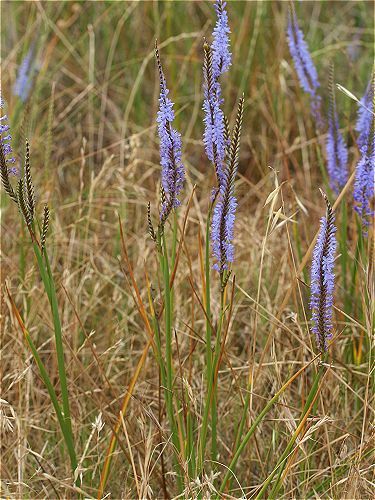 Micranthus tubulosus (Burm.f.) N.E.Br. 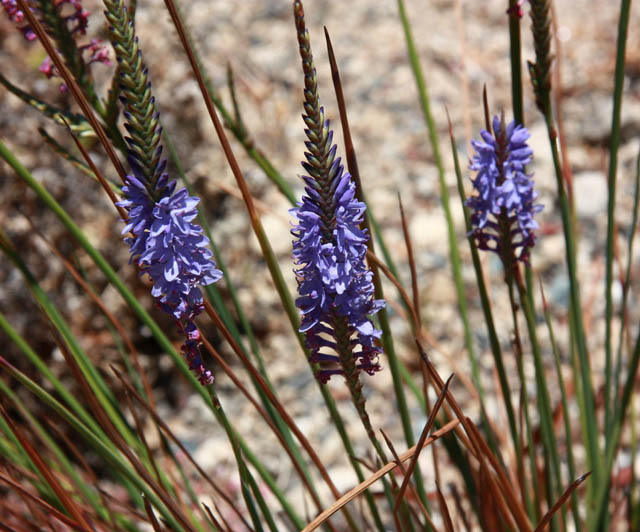 grows on clay and granitic soils in renosterveld in the northwest and southwest Cape. 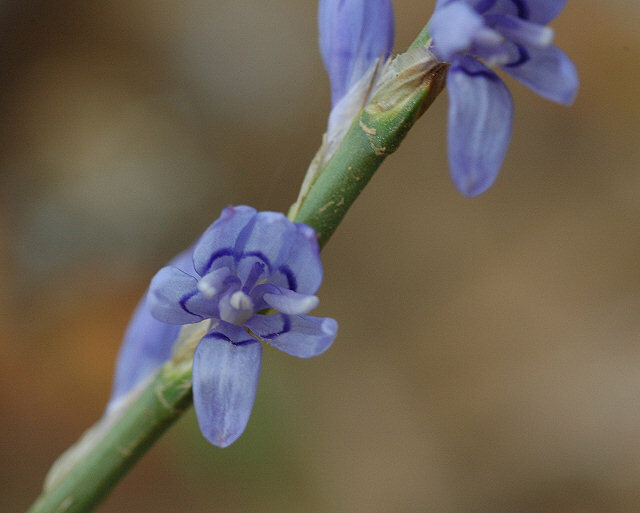 Flowers in two ranked spikes are blue to mauve and fragrant. Leaves are tubular and hollow. Photos below were contributed by the UC Botanical Garden.